When you buy a home with a private septic system, you most likely want the seller to perform a septic system inspection. That inspection will tell you if the components of the system are all working properly, including the tank itself and whether it needs to be pumped, the condition of the pump and electronic controls, and the condition of the drain field. If Seller had the OSS inspected and, if necessary, pumped within 12 months of mutual acceptance by an OSS service company and Seller provides Buyer with written evidence thereof, including an inspection report, Seller shall have no obligation to inspect and pump the system unless otherwise required by Buyer’s lender. If they have done an annual or three-year evaluation and filed that with the county, they are thinking that qualifies as an “inspection report” in the above language, but they are wrong. The Clallam County Health Authority has made it clear that an annual or three-year evaluation is completely different than the inspection report required within 12 months of the sale of a home. 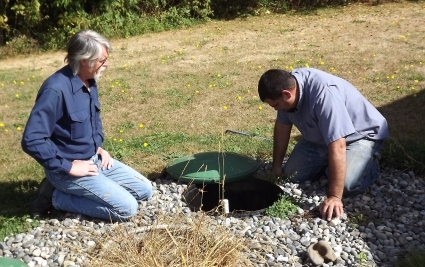 Under Clallam County Code (CCC) 41.20.170 a property owner with a private septic system must file an evaluation (report) every three years for a gravity system, and annually for all other systems. The filing of this evaluation does not require a filing fee of $40, and does not require staff review. (1) At the time of property transfer, the property owner shall provide to the buyer a copy of the current system status report performed within 12 months of the property transfer by a licensed designer or licensed OSS maintenance provider. (2) The property owner shall ensure that a current report of system status is on file with Environmental Health Services when the property changes ownership. The Clallam County Health Authority told me today that a “report of system status” that is to be “on file” means that the septic inspection report has been filed with that agency and a filing fee of $40 has been paid. This is different than the annual or three-year evaluation which does not require a filing fee. The two reports have different purposes, although they are very similar. The two reports are mandated under different provisions of the CCC. By the way, you can tell which report you are looking at by the identified purpose in the top right of the report. If it is for a sale, it will say “Point of Sale” or words to that effect. The bottom line is that the standard Septic Inspection Addendum does require that the seller obtain a new septic inspection, even if they filed an annual or three-year report within the past 12 months. However, if they filed a septic inspection report with the county for the purposes of a sale and paid the $40 fee within the past 12 months, they would not have to do a new septic inspection.